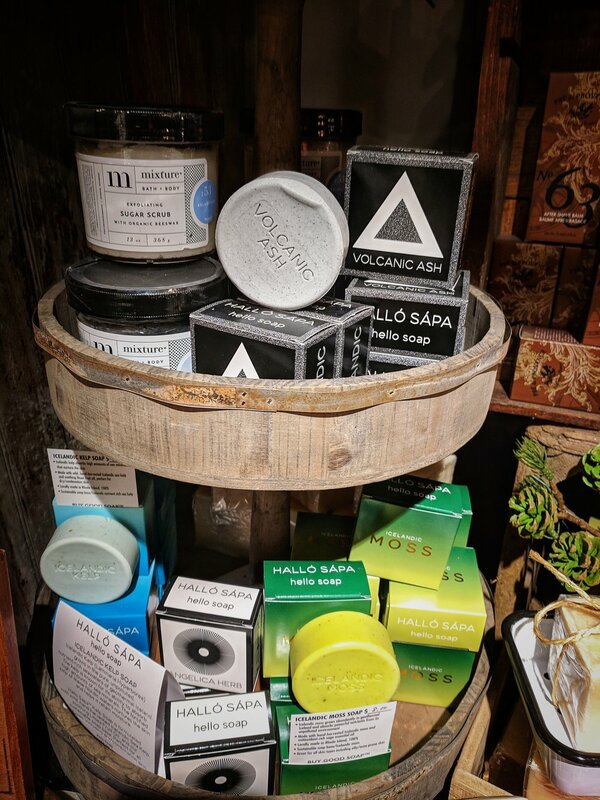 pure, hand-harvested Volcanic Ash from Iceland's geothermal lava fields and combining it with our custom, sustainable, Rainforest Alliance Certified™ soap base made domestically in the USA. Icelandic Volcanic Ash, known as "Mother Nature's skin purifier", is rich in minerals and antibacterial sulphur which helps slow down the aging process by stimulating collagen production. Used as a skincare remedy for centuries, the ash in the soap is active and provides a mild, natural exfoliation while absorbing toxins for the ultimate clean. (Cetraria Islandica) is a lichen that grows abundantly on lava slopes, lush plains, and pristine mountainous regions of Iceland. Moss lichens naturally absorb powerful nutrients from their surrounding environment, and have been used since ancient times to help soothe and protect the skin. (Laminaria Hyperborea) is a type of seaweed that grows in the pure, unpolluted, nutrient-rich seawaters of Iceland. Kelps are known for their efficient ability to absorb high amounts of minerals from the sea, and naturally help nurture skin's complexion by retaining precious moisture.